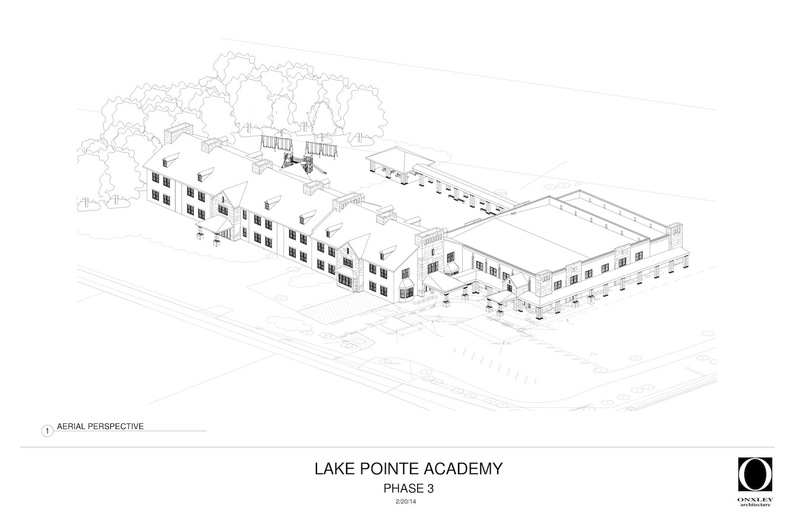 Since its second academic year in 2006, Lake Pointe Academy has met at its current location on Hands Mill Highway. The campus is situated near Lake Wylie, between the Highway 55 and 49 turn-offs to Clover and York and the Big Allison Creek Bridge. LPA purchased the campus from the Finish Line Ministries church, whose pastor constructed the buildings. As LPA's ministry has expanded over the years, every square foot of the current campus is utilized and stretched to capacity. So, what's ahead? Below is an architect's rendering of a future, maximized campus, featuring a larger educational building and a gymnasium.